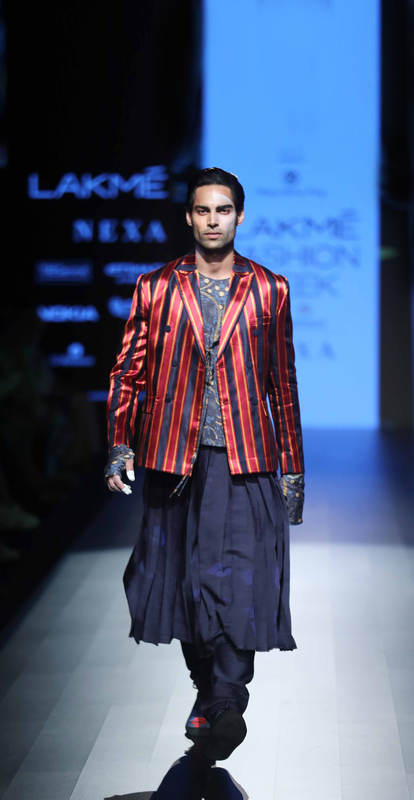 Collaborating with Tencel™ Rajesh Pratap Singh debuted his Indian, ethnic, style collection “Welcome to the Jungle”. A collection that is off the beaten path and aimed at the global dresser. Indian silhouettes like the Poshak from Rajasthan and the Angarkha as well as new variations of traditional Indian dancers’ costumes. 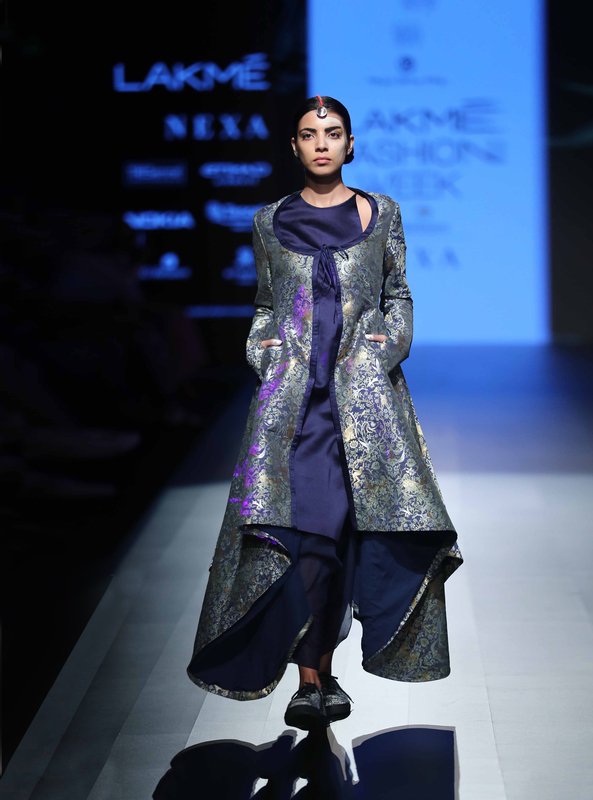 The collection has profusion of whites; with pastel blue, pink, accents of gold and silver culminating in rich brocades woven in jewel tones. 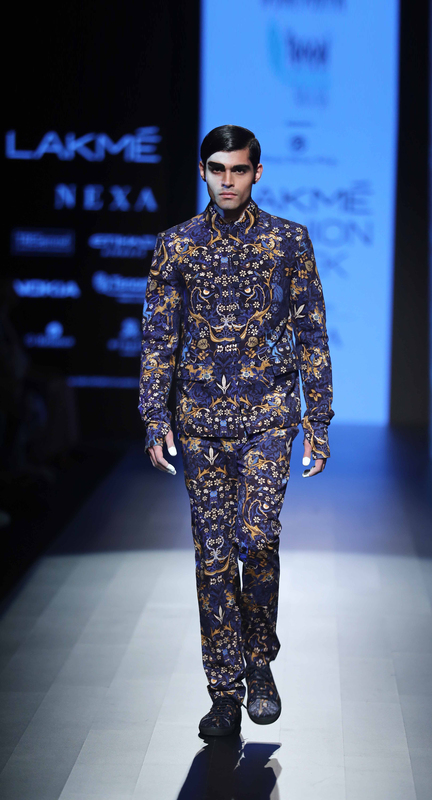 The segment with animal prints is interpretation of various art works and designs by the iconic William Morris. Rajesh developed the fibre with low-tech hand spinning as well as hi-tech mills and spun it in different ways by weaving it in various parts of the country. It was a great merger of traditional crafts and weaves with Tencel. The off-white layers for jackets, sharply constructed tunics, micro buttoned coats and hooded belted maxis were scene stealers for women. 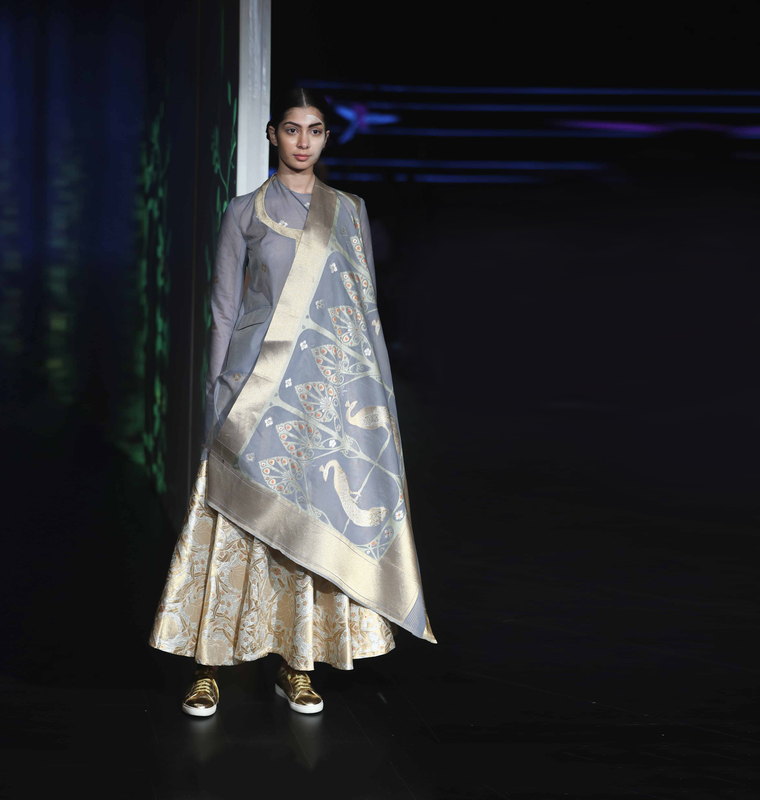 Chanderi blouses, dhotis, Raja coats, tie-up jumpsuits played with transparency and opacity, fluidity and structure; this contrast becoming a focal point of most garments. Kimono style pleated kurtas and the signature micro pin tuck dress. 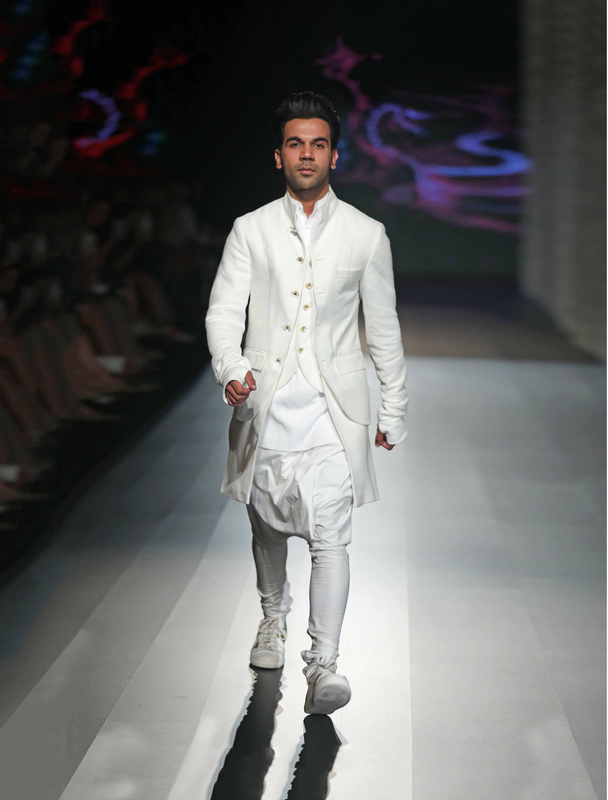 Men’s wear has large lapel jackets, kurtas, angarkhas, dhoti pants, animal prints for the suits and sherwanis are edgy .